Contact Us to Get a Price Quote! 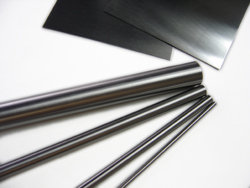 Molybdenum and its alloy products are supplied by our facility located at the bulk of the world’s molybdenum source. They are usually available in sheets, plates, rods, discs and bars. We also have the fabrication capacity to make precision machined moly parts and alloy parts according to your drawings. Our products are widely used in applications such as aviation, aerospace, nuclear high-temperature furnace, glass, ceramic, crystal production, medical, illumination and vacuum sputtering. Diameter: from 0.12" to 4.7"